Own Avatar - The Last Airbender Series 1 to 3 Blu-Ray from Deff, DVD, Blu-Ray & 4K Video Specialists - Free UK Delivery..
Water, Earth, Fire, Air. Four nations. One war-torn world. Relive from the beginning the epic saga of Avatar: The Last Airbender, the animated series that quickly became a phenomenon, creating a huge fan base that spans the globe! This collector's edition includes all three powerful books: Water, Earth, and Fire. From the discovery of the Airbender boy in the frozen iceberg, to the battle at Ba Sing Se, to the final showdown with the Fi..
Having survived the terrible battle with Azula, Aang faces new challenges as he and his brave friends secretly enter the Fire Nation. Their quest is to find and defeat Firelord Ozai. Along the way, they discover that Ozai has plans of his own. The leader of the Fire Nation intends to use the massive power of Sozin's Comet to spread his dominion permanently across the four nations. 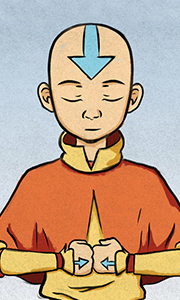 Short on time, Aang has a lot of bending to learn and no..
After a lapse of 100 years, the Avatar - spiritual master of the elements - has returned. And just in the nick of time. The Four Nations (Water, Earth, Fire, and Air) have become unbalanced. The Fire Nation wants to rule the world, and its first conquest will be the Northern Water Tribe. It's up to a 12-year old Airbender named Aang to find a way to stop it. Join Aang, Katara, Sokka, Momo, and Appa as they head north on the adventure of..